What is JANUS Cost Control Management? JANUS Cost Management Software is a suite of tools that enables companies of any size to have total control over their project spending and achieve significant project cost savings without sacrificing productivity and quality. This cost management solution gives you the most bang for your back by fully utilizing your existing business systems and workflows to create a very effective and efficient total cost management solution without bursting your budget. With JANUS Cost Management Software, you have total authority over your project costs, from the estimating stage all the way to project close out and reconciliation. Developed by cost analysts and engineers for cost analysts and engineers, JANUS integrates effective and tested cost engineering practices on top of scalability that makes it easy for businesses to adapt to varying project needs. JANUS Cost Management software is created by cost engineers and analysts for the use of their fellow cost engineers and analysts, and comes with all the features and capabilities they need to perform their tasks with unrivalled efficiency and effectiveness. The software is built on four modules and is quite useful in various industries and business sectors, including oil and gas, manufacturing, construction to public sector, enabling enterprises and organizations to cover all the bases with regards to project costs. With JANUS Cost Management solution, companies are able to deliver high quality projects with all related spending fully optimized. The software takes pride of its 1 cost engineer/analyst to 4 projects guarantee, enabling one cost engineer to handle projects ranging from $15-$30 million. JANUS is also designed to calculate costs in any currency. While most cost management solutions are integrated with Excel-like interfaces, JANUS is built to give users that familiar Excel-like setup and feel combined with best practices. All cost engineers and analysts who helped in creating and developing JANUS have over 10 years of experience, making the software very intuitive and straightforward to its users. There is also no need for users to install additional software “adaptors” to integrate their exisiting systems and applications to JANUS. The software is designed to fit and work well with existing in-house systems, processes, and procedures, giving you a total cost management platform that doesn’t hamper with the way you manage your projects and other workflows. 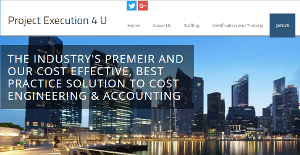 Each business is different, and may need a particular type of Accounting Software solution that will be adjusted to their company size, type of customers and employees and even individual niche they support. It's not wise to count on finding an ideal app that is going to be suitable for each company no matter what their background is. It may be a good idea to read a few JANUS Cost Control Management reviews first and even then you should remember what the solution is supposed to do for your business and your staff. Do you need a simple and straightforward solution with just elementary functions? Will you really use the complex functionalities needed by experts and large enterprises? Are there any particular tools that are especially practical for the industry you operate in? If you ask yourself these questions it will be much easier to get a reliable service that will match your budget. How Much Does JANUS Cost Control Management Cost? We realize that when you make a decision to buy Expenses Management Software it’s important not only to see how experts evaluate it in their reviews, but also to find out if the real people and companies that buy it are actually satisfied with the product. That’s why we’ve created our behavior-based Customer Satisfaction Algorithm™ that gathers customer reviews, comments and JANUS Cost Control Management reviews across a wide range of social media sites. The data is then presented in an easy to digest form showing how many people had positive and negative experience with JANUS Cost Control Management. With that information at hand you should be equipped to make an informed buying decision that you won’t regret. What are JANUS Cost Control Management pricing details? What integrations are available for JANUS Cost Control Management? If you need more information about JANUS Cost Control Management or you simply have a question let us know what you need and we’ll forward your request directly to the vendor.